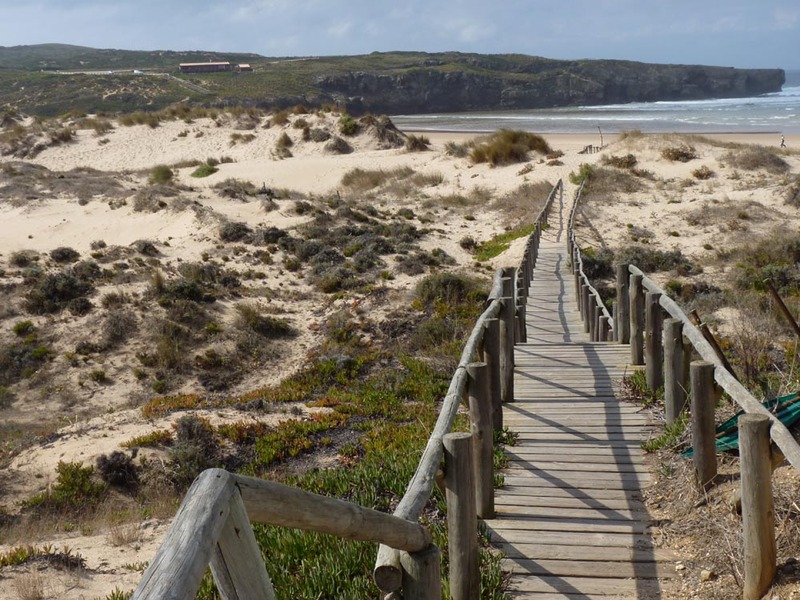 Praia da Amoreira – the Algarves best kept secret! 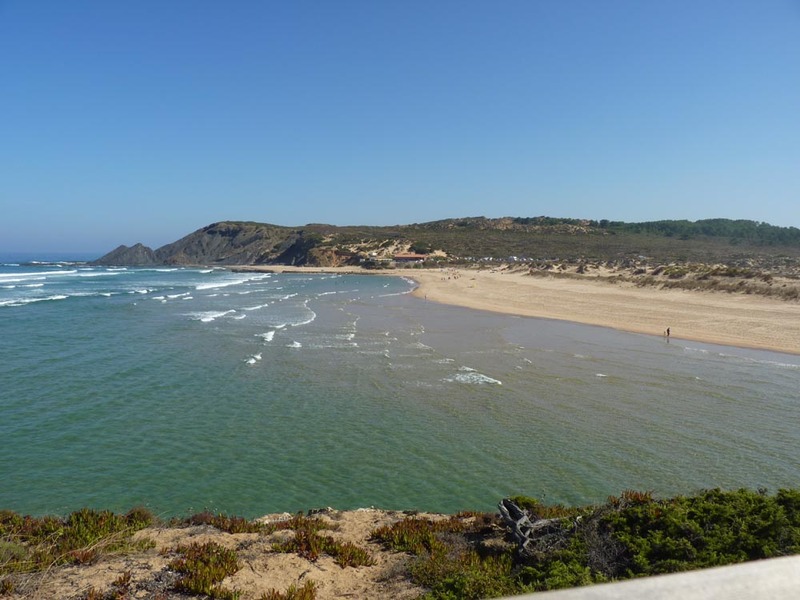 Praia da Amoreira is a natural and as yet unspoilt sandy beach about 7kms from the little town of Aljezur in the Western Algarve. It’s popular with surfers, fishermen and those who just want to escape from the rat race of mass tourism and concrete highrise. There are no shops or concession areas so you will need to bring your own parasols, beach chairs and windbreaks if required. The only toilets available are at the restaurant. At low tide there is a shallow lagoon area on the beach. This is popular not only with children but also their parents who just can’t resist playing on their kids inflatables! 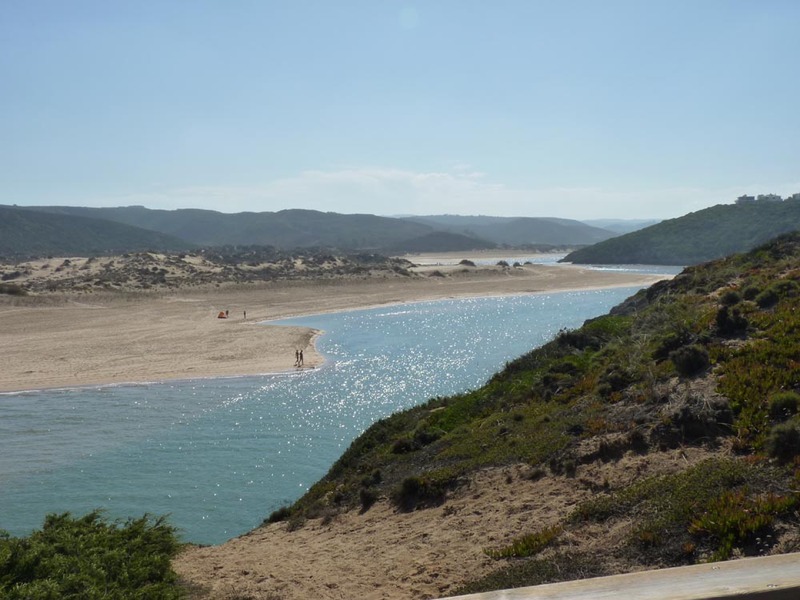 The river Ribeira de Aljezur flows into the sea at Praia da Amoreira and provides a wonderful beach area along its banks. Take care at high tide as currents close to the mouth of the river can be very strong. 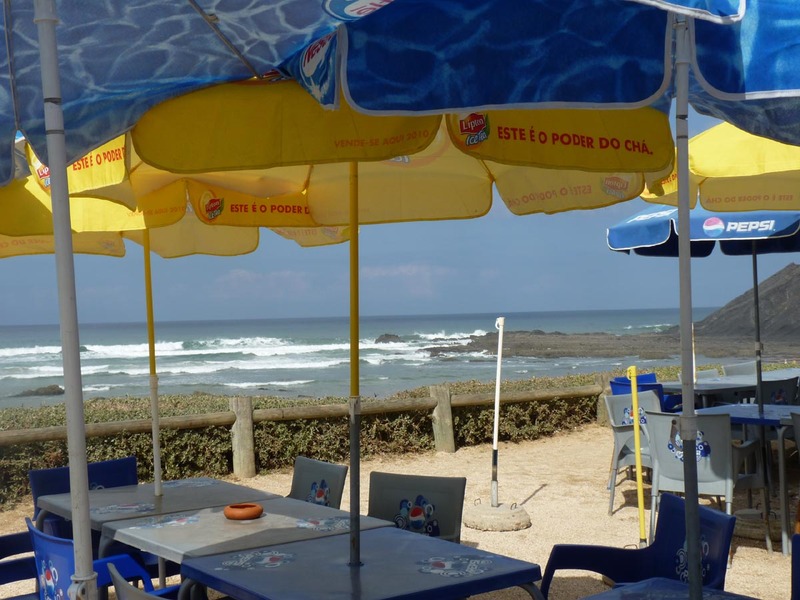 The Restaurante Paraiso do Mar just above the beach is well worth a visit. The food is simple but delicious, service is friendly and the views are to die for! We just had a light lunch of mixed omelette and chips which I could not have cooked better myself! Prices were reasonable, bearing in mind location for ex €7.00 for a Mixed omlette and chips, Hamburger and chips €8.00, coffees €1.30 and housewine about €4 for a half bottle. Disabled Facilities: Not that I noticed. Access to the beach is via some steep wooden steps or an uneven walkway. Local tip: There is a lagoon beach area away from the main beach. Be careful of currents when tide is going out. Directions: From Lagos take the EN120. Drive through Aljezur towards Rogil and just before the Pavilhão Gimnodesportivo Municipal on the Left hand side, you will see a sign to Amoreira Beach. The road down to the beach is flanked by beautiful scenery. Half way down the road, on the left hand side, there is access to an inland beach along the river that runs down to the sea. You will need to be careful due to currents when the tide is going out. Alternatively, continue down to the main beach. I would be very interested to hear your views about dogs on beaches. For or Against? Beautiful! I want to be there now. 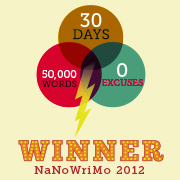 I can feel the Paraiso do Mar calling to me. Love this part of the Algarve. On 19 June 1996, a six-year-old German child, Renè Hasèe, disappeared from Amoreira beach near Aljezur while walking a few metres ahead of his parents. The best kept secret is disappearing . I took my dog for a walk at 10 am last week and 95 surfers were already in the water. Too many are coming up on day trips in vans to our beaches and ruining them for families. Not contributing anything to our area. It will be far worse now that David Cameron had lunch at Gabrielles. The problem is if too many surfers come to the beaches it is not safe for bathers. Perhaps there is a restriction on the number of surf schools. Do they need a license? I’m pro dog on beaches and I ALWAYS pick up my dog’s mess. I’m torn about the surfer issue as my husband surfs…is it that bad year round or more so in summer? I guess only the supermarkets make any money off them as they’ll sleep in their vans and cook for themselves.